We have established an excellent flying field in Wainfleet off Feeder Rd, ten minutes from downtown Welland. You will find us flying our aircraft there whenever the weather and time permits. Almost every new modeler will need assistance in learning to fly an R/C model aircraft. Even if you are an experienced full scale pilot, you will need to have someone to help you. Our club has qualified flying instructors and skilled builders to help you along. The Rose City Model Flyers have qualified instructors that will instruct new student flyers based on student and instructor schedule availability. Once a member, contact an instructor and set-up times when both can get together to begin your training. If you have any questions about learning to fly or simply interested in Radio Control aircraft, visit us and speak to an instructor or one of our members at the airfield. Someone can help guide you to take the right steps towards learning to fly with enjoyment instead of frustration. 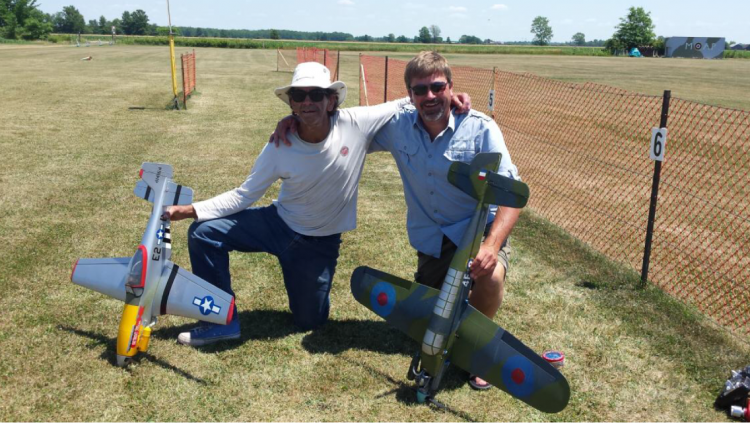 Flying model aircraft in Canada requires one to be a member of the Model Aeronautics Association of Canada. It provides liability insurance, in the event of any property damage or injury, and a host of other services to its members. You are most welcome to come and visit us, either at the flying field or at a meeting. We have some events scheduled throughout each summer where you will be able to see some very exiting airplanes from both our own members and visiting clubs.